New Hyundai Santro 2018 leaked images before the official launch! New Hyundai Santro* 2018 analysis and review of leaked images before its official launch. Hyundai’s upcoming family car which will be revealed officially 2018 year has been testing in India. The new Santro 2018 hatchback from Hyundai is expected to be a Santro facelift. 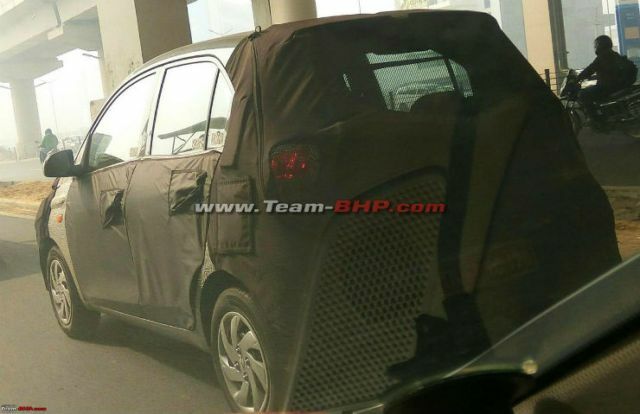 It will fit between Grand i10 and Hyundai Eon.According to the latest set of leaked pictures fo new Hyundai Santro 2018, the interior of the car has been revealed while the exterior is been covered by black film although we got the idea of its exterior shape from leaked images. It is confirmed that new Hyundai Santro 2018 will turn into an all-new avatar. The new Hyundai Santro 2018 has been spied on few occasions. Hyundai Santro will be entry-level segment Small car. The latest leaked images show that Santro interior will be fairly premium and it will offer a touchscreen infotainment unit. The new Hyundai Santro 2018's production has already started in India and Hyundai Santro facelift code name is AH2. The new Santro will officially be revealed at Auto Expo 2018. We have explained all the available details and images in this post below. Hyundai India Motor Limited has confirmed that the launch date of Santro facelift 2018 is the second half of 2018. The company is not yet disclosing the name of its new production vehicle but all expected it to be the new Santro. It is Expect the new 2018 Hyundai Santro to launch during the festive season of 2018. Hyundai Santro price will compete with Celerio and Maruti WagonR. Our expectation is that the new Hyundai Santro prices may start at Rs 3.9 lakh. The top-end variant may cost around Rs 5.2 lakh. As we all know that the Hyundai Santro was a big hit from Hyundai so it is import form company to keep the name "Santro". The engine of Hyundai Santro 2018 expected to be between 900cc or a 1100cc engine. Specifications and features are likely to be revealed after the final launch of Hyundai Santro 2018 model, the engines of Hyundai Santro 2018 is manufactured at HMIL’s Tamil Nadu facility. This engine is being tested by as a prototype of the upcoming Hyundai Santro 2018. The upcoming new Santro will become the first Hyundai car in India to may offer AMT. The earlier Santro offered a good combination of mileage and performance and the Santro facelift should be no different. As the engine will have resembled with the Eon, the new Santro facelift 2018 could offer up to 21* KMPL. 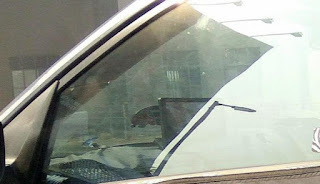 As can be seen in the leaked images of Hyundai Santro 2018, the Santro’s dashboard may have a touchscreen unit. Hyundai cars have always best with their interior quality and features. The Hyundai Santro facelift interior should be no different. The car is likely to offer a spacious and a comfortable seat. The new Santro facelift will have Fluidic Design theme as we can assume from leaked images during testing of Hyundai Santro. Stay tuned for auto advice for latest news updates on the new Hyundai Santro facelift interior and exterior design, launch date, price, specifications, and review. Disclaimer: Some Specifications may vary after the final product launch.